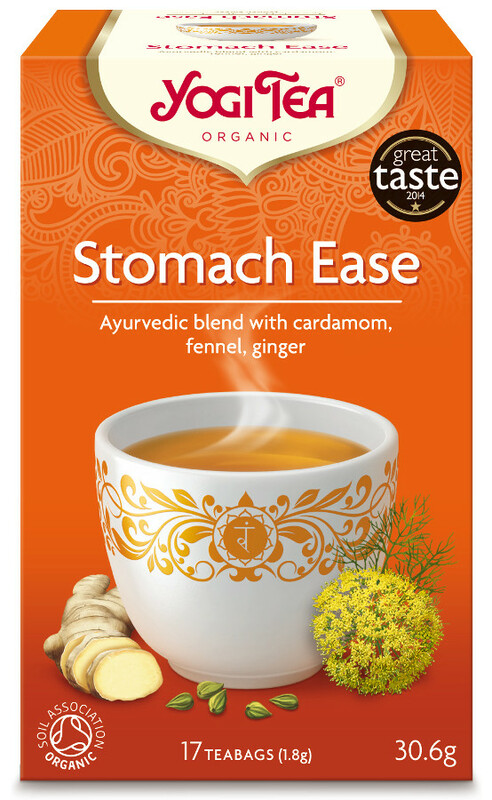 At home, dining out or travelling, enjoy a cup of Stomach Ease with your meal to help promote healthy digestive function. This delicious wellness tea provides relief when you are feeling bloated or have occasional upset stomach or heartburn. We combine fennel with licorice to naturally support gastrointestinal function. Then we add our unique blend of warming herbs, including cardamom, coriander and peppermint, to provide additional comfort. So, don't get upset when your stomach does, just ease the discomfort with a healing cup of tea. As a digestive aid, drink with your meal and repeat 15 to 20 minutes thereafter. For a stronger effect, use 2 tea bags. Organic Licorice Root, Organic Cardamom Seed, Organic Fennel Seed, Organic Coriander Seed, Organic Barley Malt, Organic Peppermint Leaf, Organic Ginger Root, Organic Black Pepper. The Yogi Stomach Ease Tea x 17 bags product ethics are indicated below. To learn more about these product ethics and to see related products, follow the links below. Slowly unwinds knotty intestines and relieves chronic indigestion. Good for all-the-time drinking too. 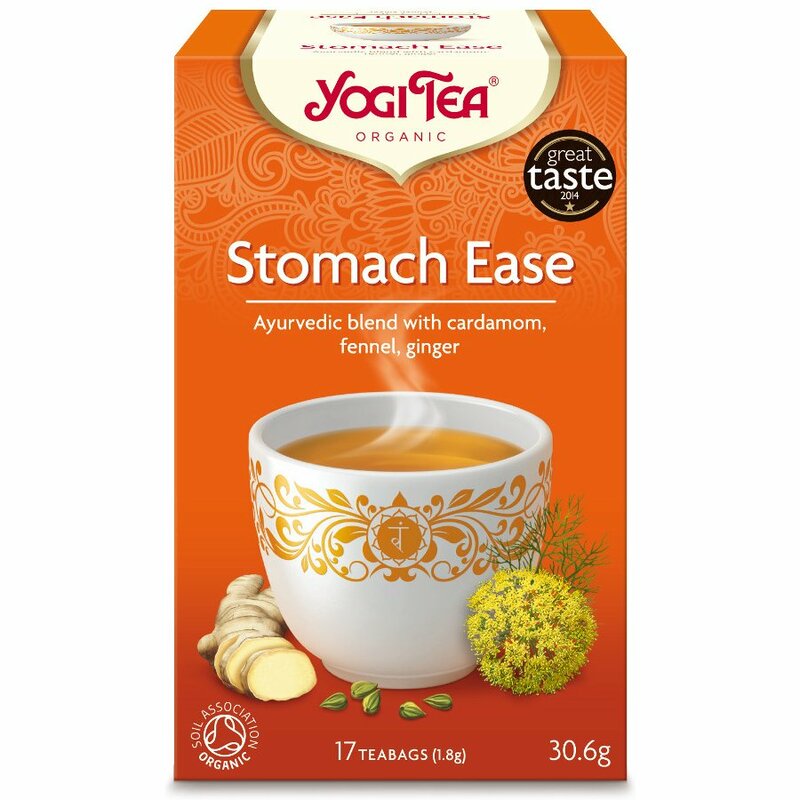 There are currently no questions to display about Yogi Stomach Ease Tea x 17 bags.